In a very short span of time, Samsung has made a great impact in the market with its Edge series of smartphones. From the S7 Edge to the Samsung Galaxy S8 Edge, Samsung has evolved pretty quickly. If we talk about Samsung Galaxy S8 Edge, the smartphone comes with a powerful processor, massive RAM and classy design. The device not only performs premium, it looks premium too. If you are looking to change your smartphone with something really elegant classy, go for it. The Samsung Galaxy S8 Edge comes with a super AMOLED display featuring sharp and clear display. The device comes with a 5.7-inch screen which showcases 4k resolution of 2,160 x 3,840 pixels which give the pixel density of 773ppi. On top of that, to protect the screen, the smartphone comes with v4 of Corning Gorilla Glass screen protection. Under the beautiful screen. the device comes with a cluster quad-core Kryo processor, one is a dual-core processor which assures a speed of 2.4GHz and the other dual-core processor clocks a speed of 2GHz respectively. These massive are places on latest Qualcomm Snapdragon 830 MSM8998 chipset. The 6GB of RAM gives users the best multitasking and gaming experience. An advanced GPU of Adreno 540 takes care of the graphical interface. The Samsung Galaxy S8 Edge flaunts a 16MP camera on the back which comes with some really nice features like phase detection autofocus, dual-colour LED flash, ISO control and High Dynamic Range mode. The user can capture good quality images with the resolution of 4,616 x 3,464 pixels. If we talk about the video, the primary camera is also capable of recording HD videos of 3,840 x 2,160 at 30 frames per second. To take care of the selfies and video calling, the device has an 8MP camera on the front. The Samsung Galaxy S8 Edge comes with a powerful 4,200mAh Li-polymer battery which goes on for a long period of time. To take the game to another level, the device is enabled with advanced features like quick charge and wireless charging. The smartphone comes with an internal storage space of 64GB. Users can further expand it up to 2TB with the help of a microSD. On the connectivity front, the Samsung Galaxy S8 Edge offers almost all connectivity options available out there. Single SIM slot, 4G, voice over LTE, Wi-Fi 802.11, a/ac/b/g/n, advanced Bluetooth v4.2, mobile hotspot, A-GPS, Glonass, a type C USB port and Near Field Connectivity. If we talk about the sensors, apart from usual sensors, the device comes with heart rate monitor. The Samsung Galaxy S8 Edge is expected to be released on March 07, 2018. This is not an official date. 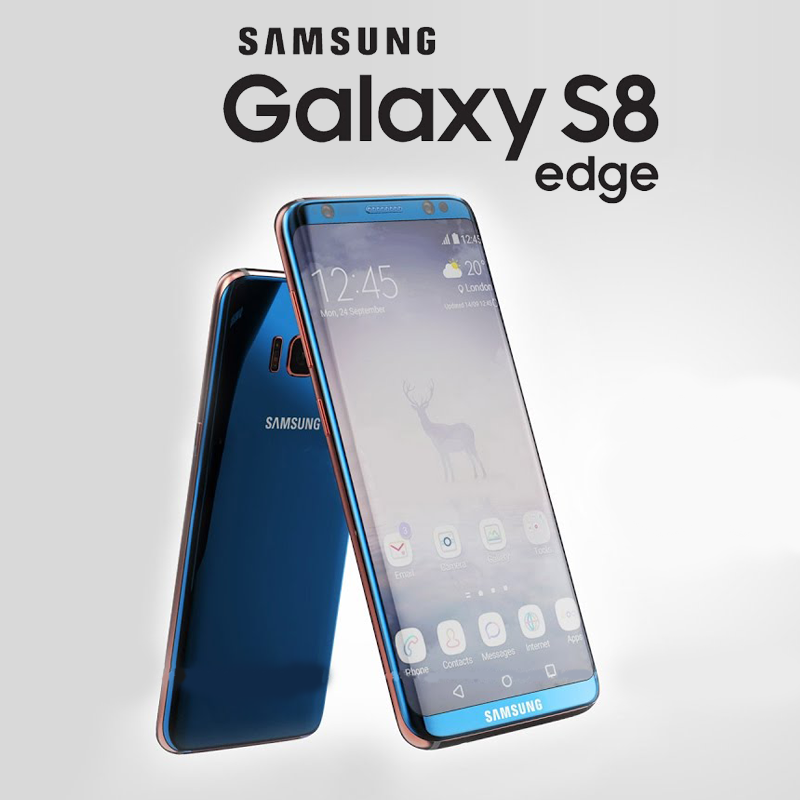 Since the Samsung Galaxy S8 Edge belongs to the premium category of smartphones, it is expected to come with a price tag of RS. 57,590 in India.